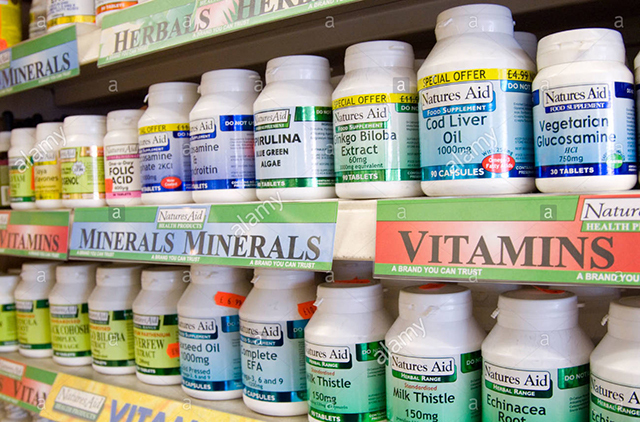 Health shops are unhappy with Revenue after the announcement of a potential VAT rate of 23 per cent on food supplements. Currently food supplements are zero-rated, which means they are still VAT taxable, but customers are charged zero per cent. “There are concerns that while elements of the industry apply the correct rates, others have a competitive advantage by applying the zero rate to products that are properly liable at the 23 per cent VAT rate,” said the Department of Finance Paschal Donohoe. The Department of Finance said that they considered placing a standard tax rate on food supplements in the 2018 finance bill. However, after consultations between the Department of Health, the Department of Finance and Revenue, there were reservations about the implications that would have had. Donohoe said he would ask officials to address the matter in the Tax Strategy Group 2019. The group is not a decision-making body though, instead, they simply provide options and issues which should be considered in the budgetary process. Matt Ronan, the spokesperson for Health Store Ireland (the trade association for health stores in Ireland), told The Irish Times that this could hurt people who require food supplements in order to stay healthy. For example, people with anaemia who need iron supplements. “This is a tax on the health of the people of Ireland,” Ronan said. “It is a tax on the elderly, the young and the vulnerable,” he continued. DCU student Lucien Waugh-Daly, who takes B12, said an increase in price could affect him. “It’s expensive living in Dublin as a student and extra costs definitely cause additional strain and stress,” he said. A similar sentiment was also expressed by DCU student Béibhinn Thorsch, who takes Engevita (a nutritional yeast). She also pointed out that vitamin D deficiencies are quite common in Ireland, and this could potentially affect a lot of people. According to researchers from The Irish Longitudinal Study on Ageing at Trinity College, one in eight older adults in Ireland are deficient in vitamin D.
Revenue said that food supplements are zero-rated if they are vitamins or minerals (in solid or liquid form) and fish oils which are consumed orally. However, substances marketed specifically for the purpose of improving bodily sculpting or weight reduction are not zero-rated.